I was lucky enough to have a great co-coach, Nicole, for soccer this year. Both of our boys are very driven when it comes to sports, our families have been slowly getting to know each other through hockey and soccer. They are a great family and our boys are getting along great. During the soccer season, I learned Nicole liked bags. This was a great piece of information, since I loved the idea of making a bag. I decided to make her a coaching gift for helping me out this season. I have my strengths, but cheering/coaching the boys while on the field is not one of them. I am better on the side, player/team management and practices. She filled a very important roll during our games. I decided to make her a Buttercup Bag. I chose to make the large version, I made the smaller one before and was pleasantly surprised with how easy it went together. I did add a few features, since the pattern is for a simple bag. 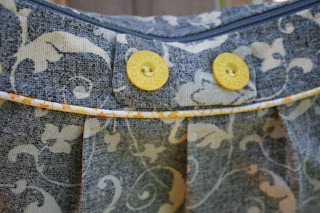 interfacing on both the interior and exterior fabrics to add structure to the bag. I had a lot of fun making this bag. I found the exterior fabric in the clearance section. I would love to have a chair in my bedroom done with this fabric. 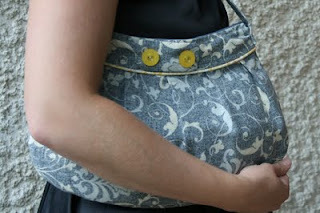 However, I made a purse instead! I wanted to add a piping detail, but all of the piping in the store was very loud so I went ahead and made my own piping. It was so easy. I will definitely do it again. 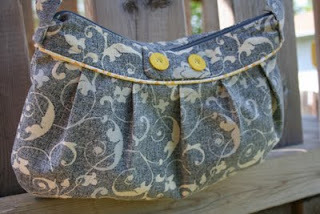 I used the same fabric for the piping that I used on the inside of the bag. I did not use any tutorial in particular, but this one will show you how to do it yourself. 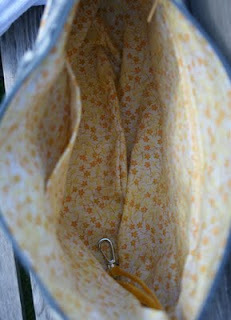 For the inside pockets, zippered and slip, I used this tutorial from sew, mama, sew! For the key chain clip I used my own bag that I purchased from Etsy for inspiration. I would post the link, but she has not had any current listings in a long time. 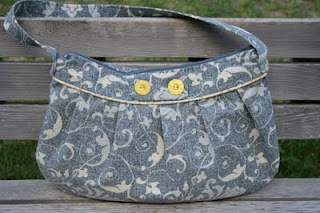 The next time I make this purse, I will make one more change to the pattern. I think it should be a little wider, so I will add a fabric strip between the front and back of the purse to make it a little larger. I am a huge fan of small purses and clutches, but, if you are going to carry a larger bag, it should be large enough to hold a lot more. I can only hope Nicole enjoys it half as much as I enjoyed making it. For those of you waiting for the skirt tutorial, I still have it in the works. Project is done, pictures are done, I just need to add the instructions.